Yesterday was a stressful day. I had to take Baby K to the doctor to check out the dry patches in her skin. It has been days that we have been putting on petroleum jelly on her but it doesn't seem to work. I have been updating the doctor and telling her that the patches are still dry - she told me to bring K over to her clinic. Last week, we have been noticing that the dry patches have a round shape. I just dismissed it as dry patches - my mom suspected that it might be ringworm, but kept quiet. When yaya told me that she suspects it was ringworm, my mom blurted out and told me 'I told you it was ringworm!' This irked me so much because she never said ringworm! She just said 'round'! I was irked because she told me that I didn't listen to her - I mean, how will I associate round with ringworm right? Oh, well - I just told her to tell me specifically what she was suspecting because if she drops hints, how was I supposed to know what's on her mind! I value her opinion immensely and listen to her suggestions but when she gives me vague descriptions - how can I deduce it right? Yaya also suspects that if its not ringworm, that it might be skin asthma. And I dreaded it because I remembered my Panget's nieces to have skin asthma, and my SIL was having a hard time treating it. 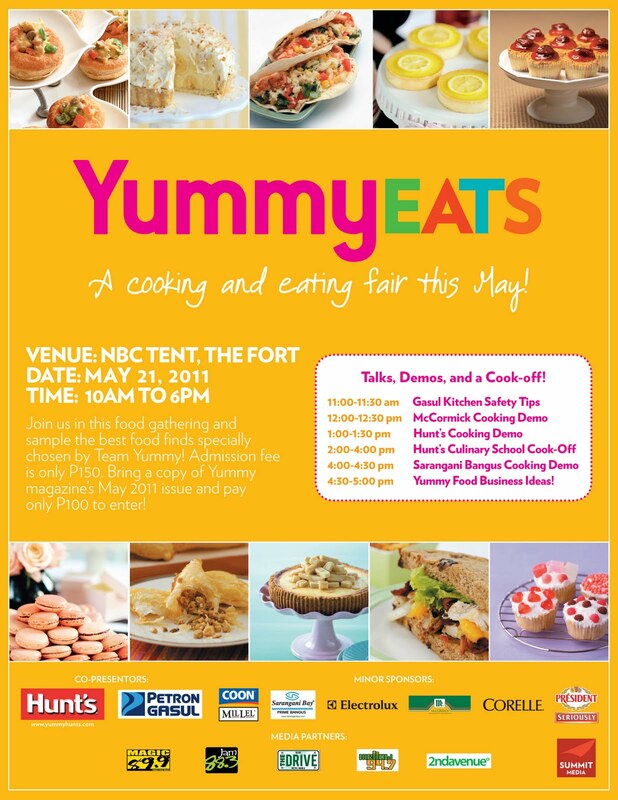 Contest ALERT: YUMMY Eats Tickets!! Thanks to Yummy & Frannywanny, I'm giving away five (5) tickets to YUMMY EATS!! Since I have five (5) tickets to give away, I'll pick FIVE people with the MOST number of comments! 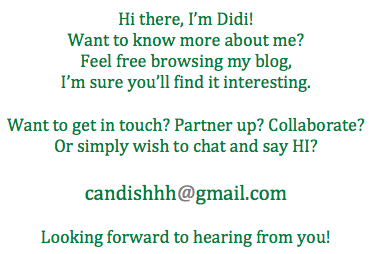 So please leave the same name and email address so I can count ALL of your entries! !